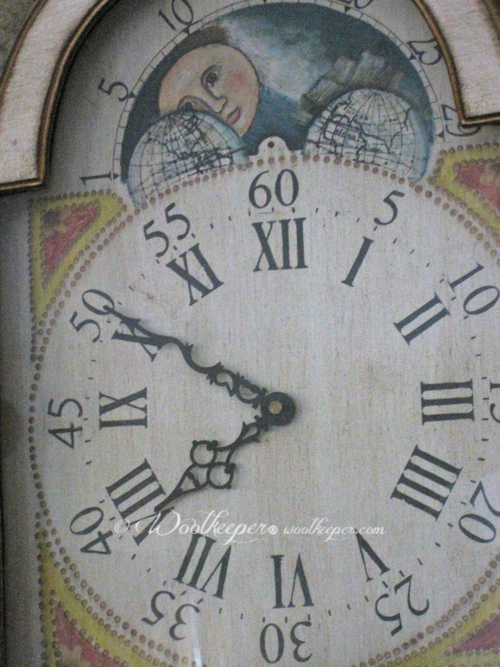 My dad was always saying “Tempus Fugit” He was right. Time does Fly! 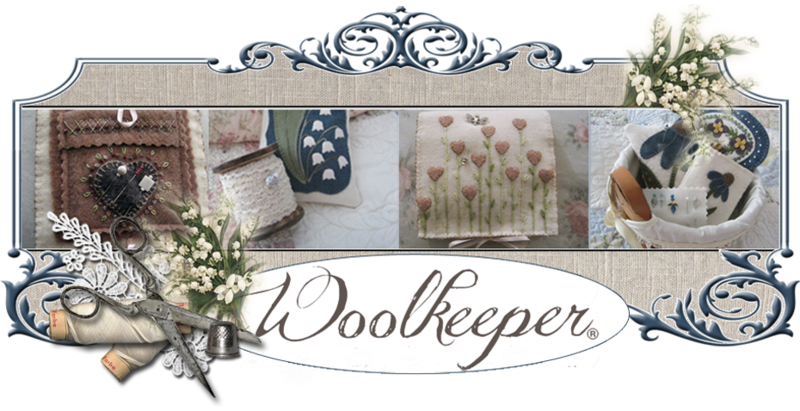 The last 2 months have zipped by filled with a lot of happenings for Woolkeeper. 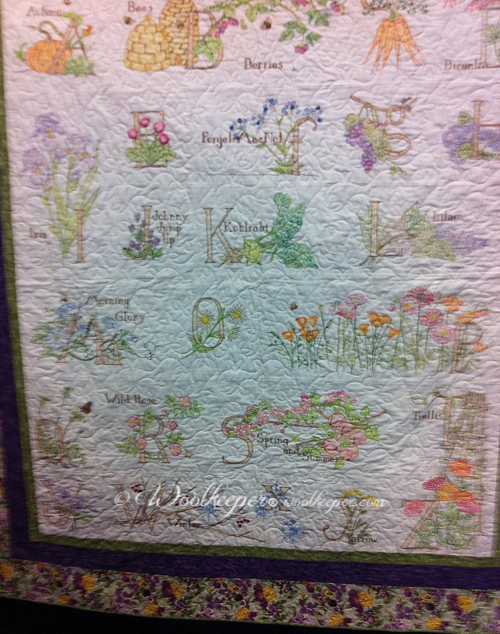 I designed this 7” x 9” banner for the members of the Heritage Quilters Guild in Lockport, Il. 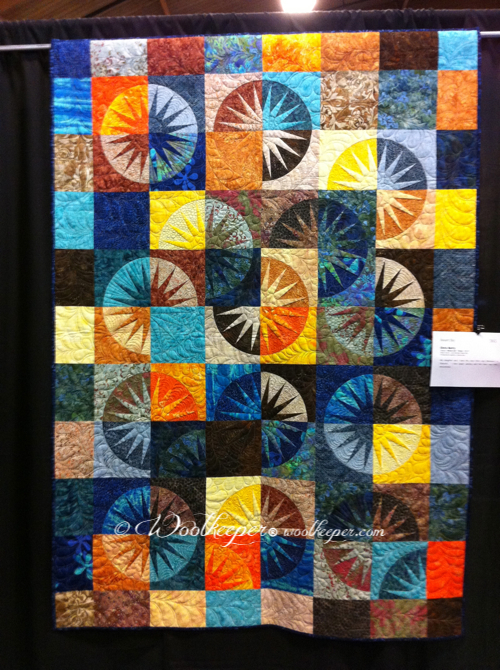 I did an all day workshop and an evening trunk show/lecture for the guild. 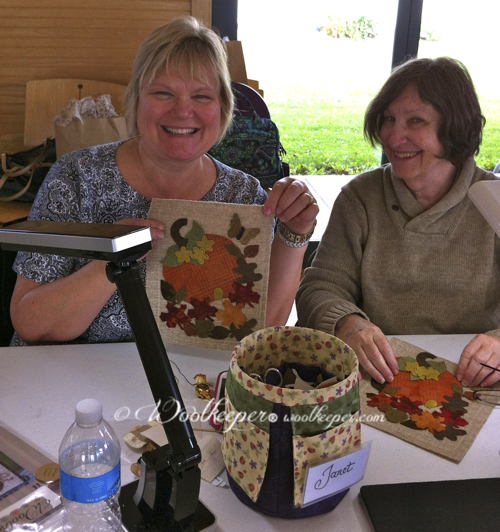 We had a delightful time full of stitching and sharing. Everyone was so welcoming and hospitable. Jan and Sherry are hard at work at the workshop. 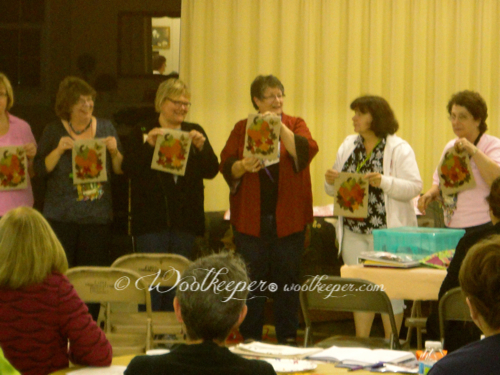 These ladies brought their projects from the workshop to the evening meeting to share. It was a wonderful day and night. Love your guild! 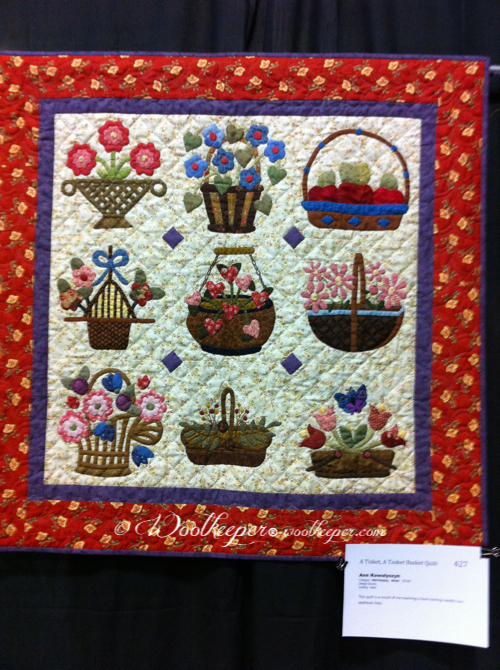 Later that same week, Woolkeeper vended at the 2014 Prairie Star Quilt Show. 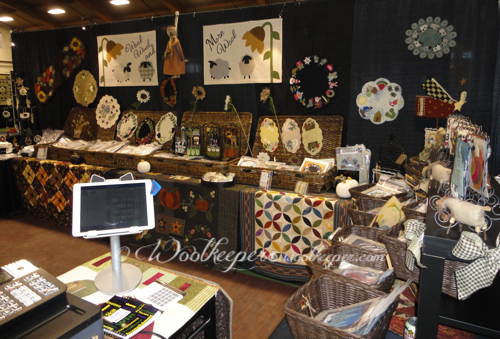 Many thanks and my appreciation to a dear friend, Danette, for all the help setting up Thursday and at the show Friday. 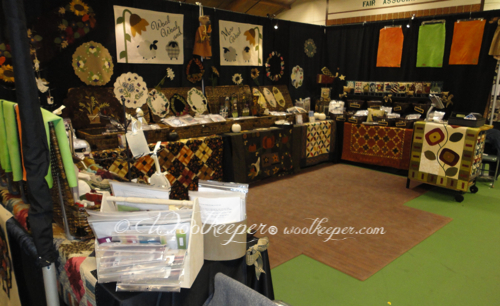 I made the quilts draped over the tables. 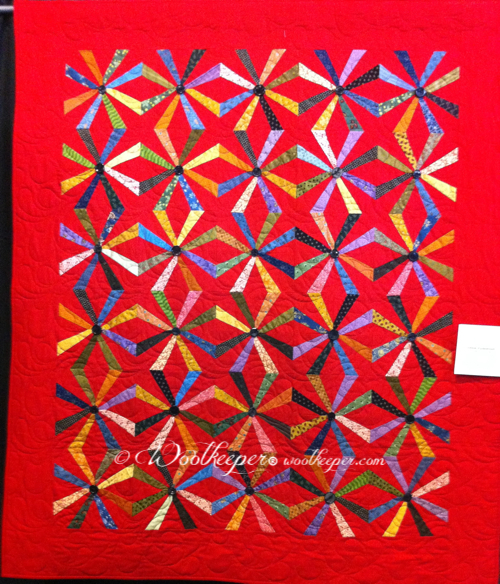 The patterns for these quilts are from other designers. 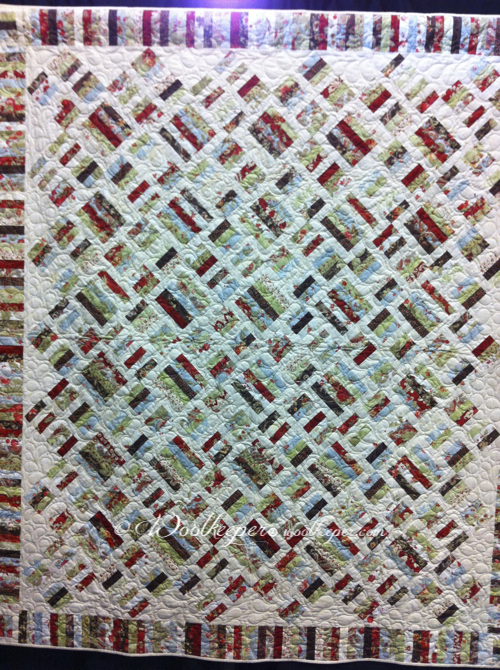 I gladly gave the name of the quilt and the designer to anyone who asked. 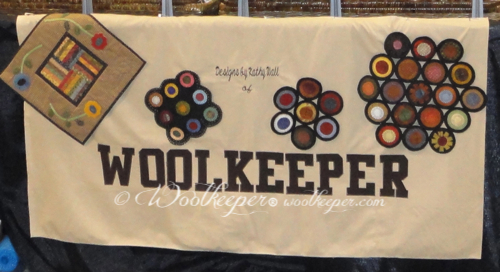 Another dear friend, Jinnie, embroidered this banner for my booth. Thank-you Jinnie! Your embroidery work is fantastic. 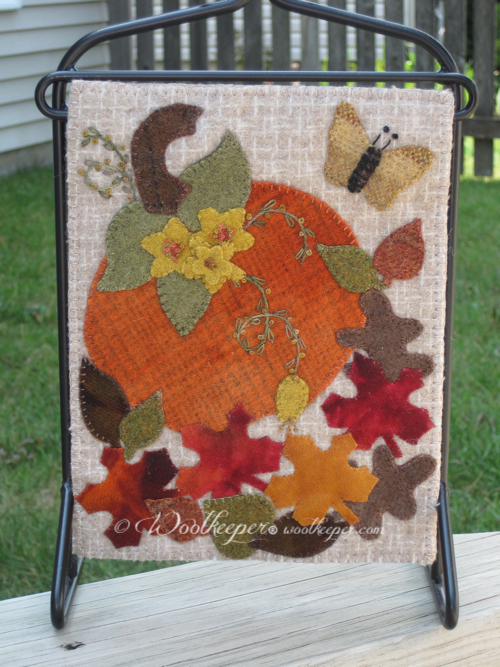 The penny rugs on the banner are from other designers’ patterns and were not for sale. 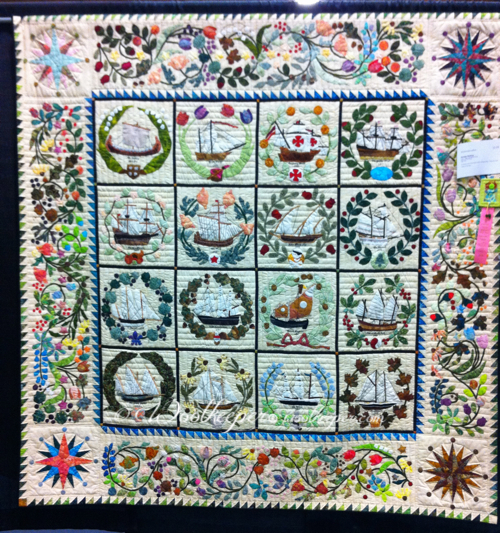 So many beautiful quilts at the show. I took a few minutes to snap some photos Unfortunately, hurrying photography for me results in blurry photos. These are a few I can share. Sprinkled among all these activities were many classes and sew-ins. 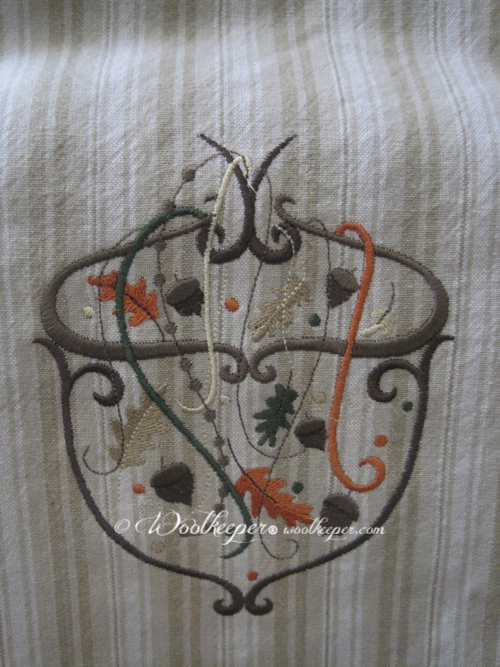 At one class I received this lovely autumn towel embroidered by another dear friend and Woolkeeper supporter, Sally. I love the delicate design. Thank-you Sally! 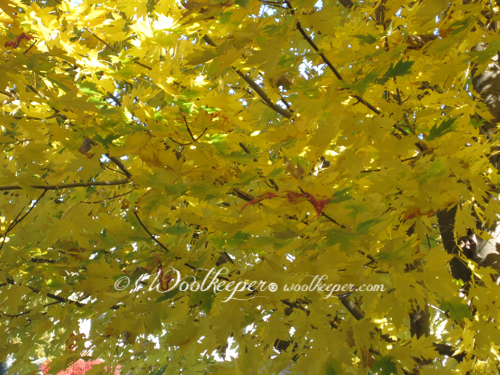 This is my view from my sewing room window. This is the view from my kitchen window. 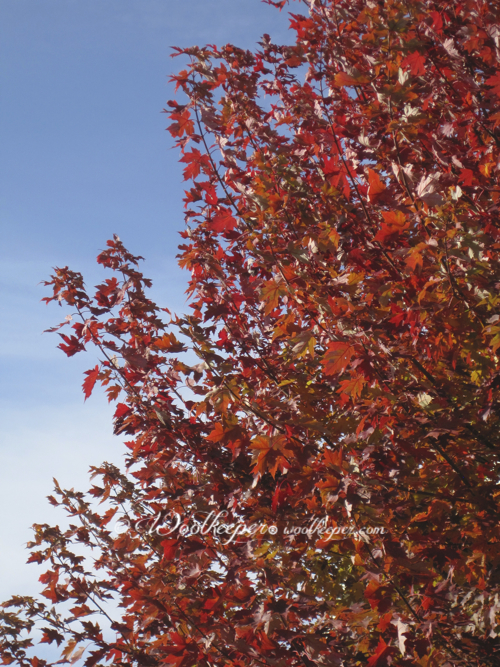 I’m in awe of Autumn’s colors.